PostalPix is an iOS app that lets you quickly select photos from your iPhone’s Camera Roll, choose print sizes and upload them for printing. The app interface is clean and intuitive. You create an account with your shipping info. At checkout, you can choose to pay with a credit card or use your PayPal account. What’s great is that you can order 4-inch, 5-inch or 8-inch square images to accomodate all those Instagram photos that you’ve taken. Of course, standard 4×6, 5×7 and 8×10 prints are available as well. Prices are very reasonable, as well as shipping prices. 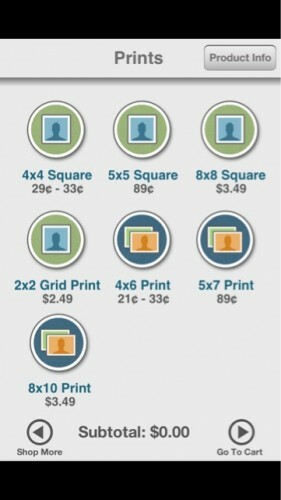 4-inch squares range from 29¢-33¢ and 4×6 prints range from 21¢-33¢. I order a few prints totaling around $4 to try out the service and shipping was just 65¢ via USPS. One complaint that I have is that it took two or three days for the prints to actually ship. I’m used to the near instantaneous turnaround from more professional printers; however, the response was not unbearable. Additionally, the only quibble that I have about the PostalPix app interface is that you select a print size first and it cues up the thumbnail view on your Camera Roll, which is all square thumbnails. This is problematic in sometimes choosing the appropriate image for the print format you’ve selected (i.e., square vs. rectangle). 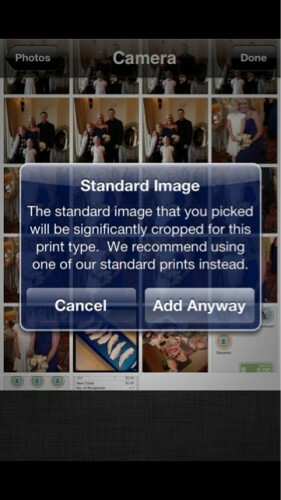 The app will warn you that the image will be cropped (with no ability to adjust the crop) prior to adding it to your cart – or it will let you cancel. However, I wish there was a way to limit the selection to the aspect ratio that coincides with the print size selection you previously made. The prints I received in the mail were in great condition and the image quality was better than what I get at my local Walgreens. The convenience of being able to make the order from an app on my iPhone is a huge bonus that will push me to use their service more often. This free app earns an easy recommendation from me for iPhone users. 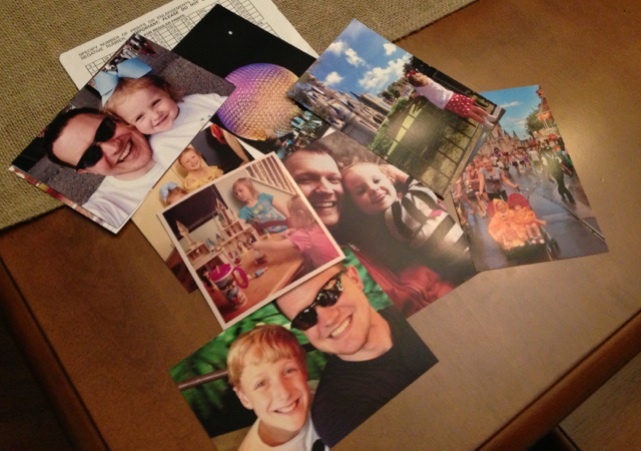 Now, go make some prints of all those great Instagram images you’ve shot. You can find PostalPix here on the iTunes App Store.